AS-Schneiderin valmistamat laadukkaat laippa-adapterit eri teollisuuden tarpeisiin. Laippa-adapteri saatavilla erilaisilla yhteillä. Piping and Instrumentation are linked by the AS-Schneider Flange Adapters. The compact design eliminates the need for additional connections. 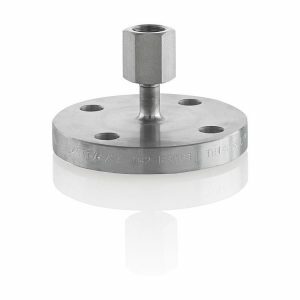 Besides multiple types of standard styles we also supply the Flange Adapters in accordance with specific customer demands. Selection can be made from a comprehensive range of flange types and sizes with a variety of connections and material options, optimizing installation and access opportunities.